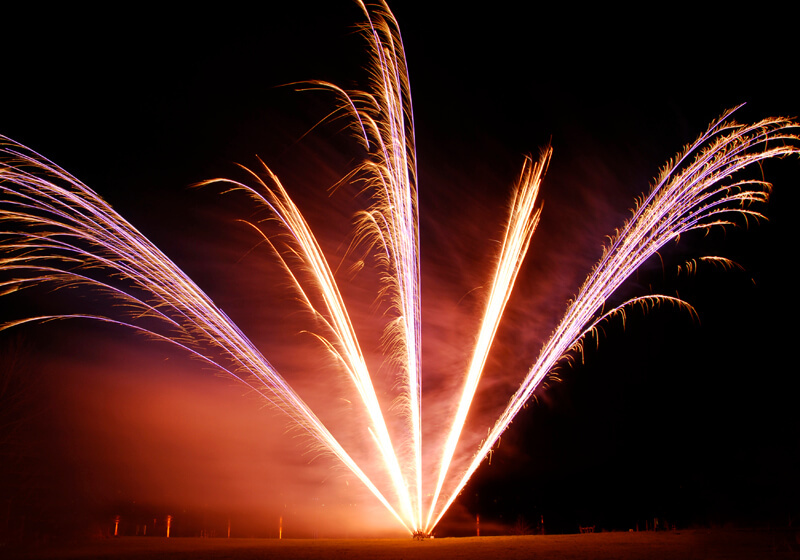 By using special low noise fireworks with enhanced colour and special effects our low noise firework displays forgo the big explosions but still deliver a stunning show. 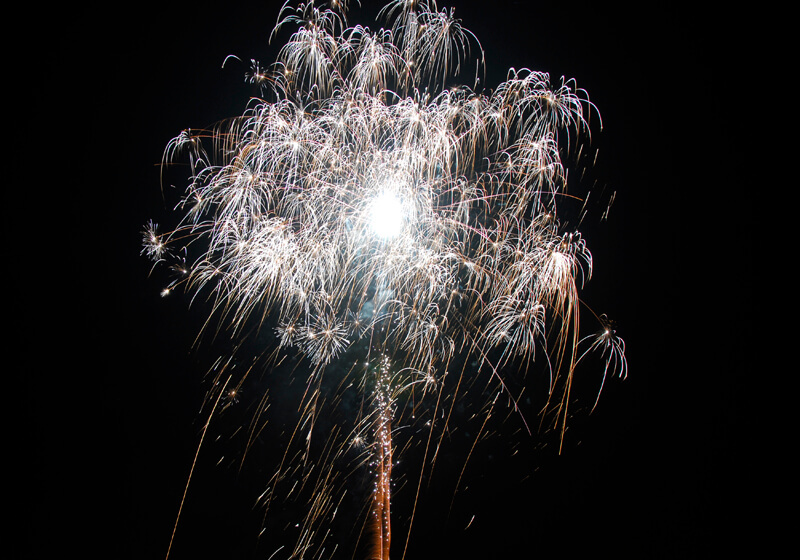 It all results in a firework show that means less stress for noise-sensitive children, older people, pets and wildlife. It also opens up a whole new set of venues that once might not have accepted fireworks. 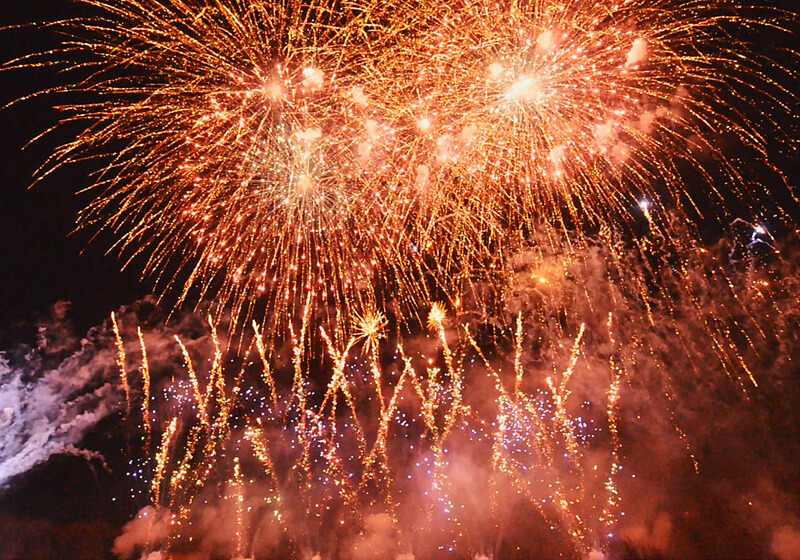 A firework display to celebrate your wedding at most Hotels is now possible, displays for elderly residents in care homes or fireworks for young pupils at primary schools are all now feasible. 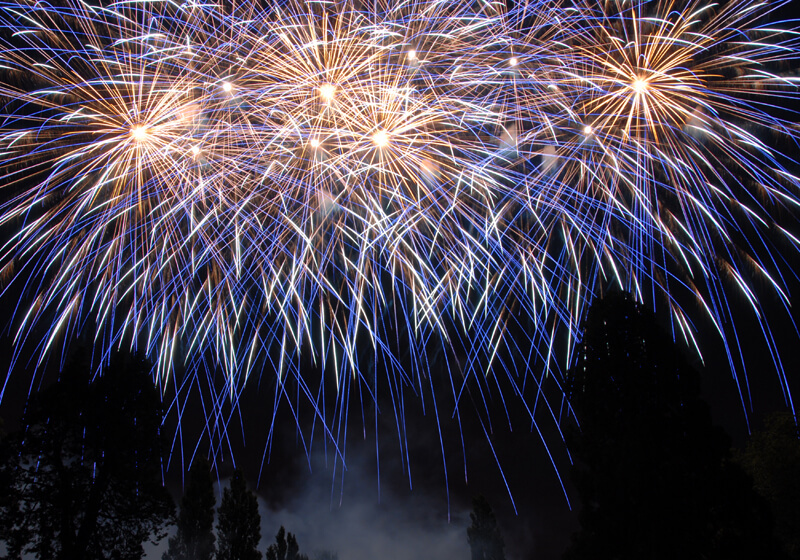 In the UK,standard fireworks are limited to a maximum sound level of 120 Decibels, our Low Noise Fireworks are not completely silent but are restricted to a very comfortable level that will be below the level of any accompanying sound track. At Sonning, we carefully plan your display to ensure local residents, livestock, pets and wildlife are always taken into consideration. 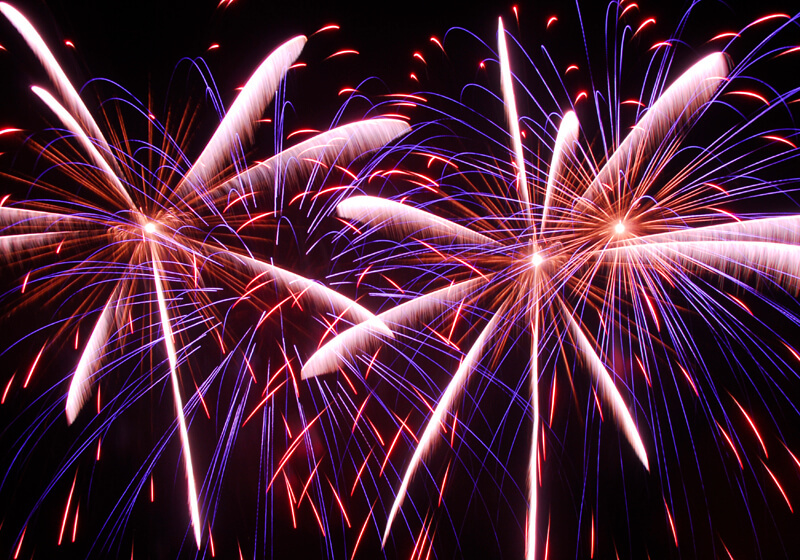 Find out more about quiet fireworks when Chris speaks to the BBC. 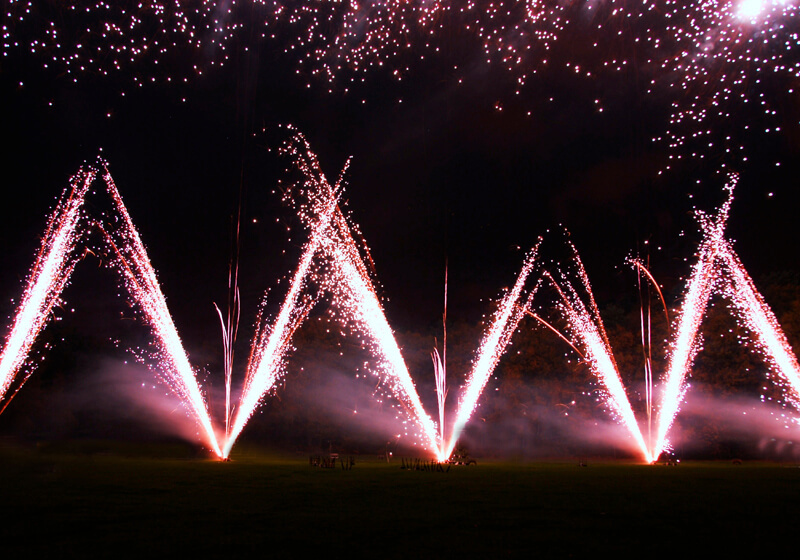 Our low noise firework displays ensure you can have a hugely entertaining firework display to your evening whilst respecting any noise sensitive venues. 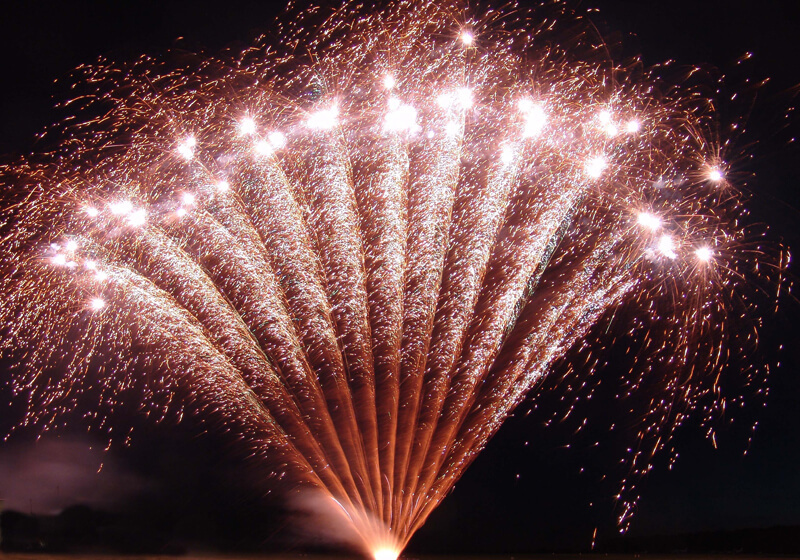 If you are considering a firework display that requires careful sound sensitive planning then speak to Sonning Fireworks, we are Low Noise Firework Display experts and consultants. Heckfield House is a Georgian opulent country hotel surrounded by ancient heather, woodland, gardens and meadows located in Hampshire. At the heart of the hotel is Home Farm. Home Farm is key to the business as it provides fresh vegetables, meat produce, eggs, fruits, honey and flowers for the restaurants and rooms. 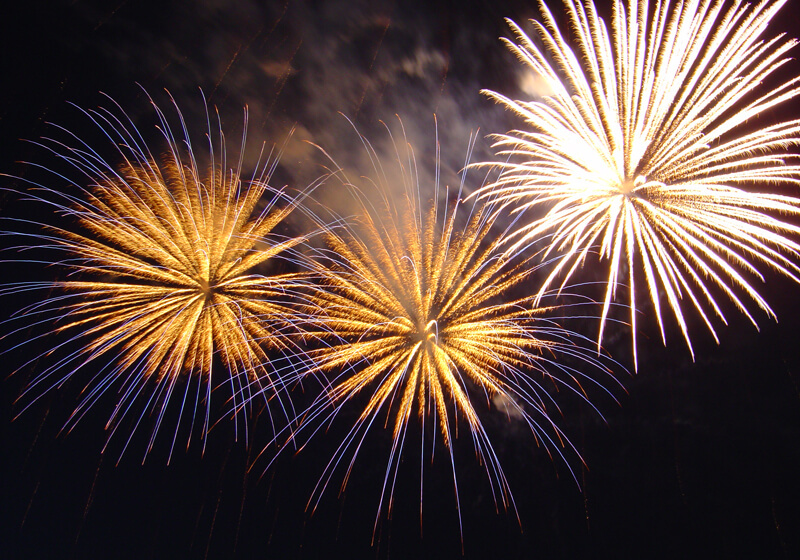 Having livestock in close proximity to standard fireworks would cause distress to these animals. 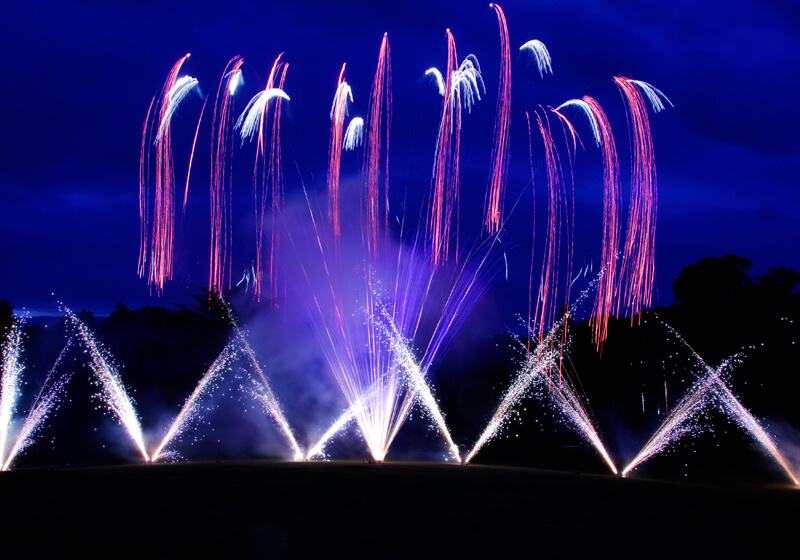 We carefully selected low noise fireworks and went to work programming their sequence and arranging colours, so that we would end up with a special choreographed firework display to stun the evening guests. The feedback from the guests was fantastic, with a stunning backdrop of the hotel and superb grounds the quiet firework display accompanied by music was an astounding success enjoyed by everyone. No animal was distressed in the making of this fantastic evening ! !